As usual the 2016 Music for All Summer Symposium was a great success! I was excited to see so many friends and meet new ones. This post contains links to my sessions at the Summer Symposium -enjoy! All Links and materials will be made active and become available after each lecture. 1. 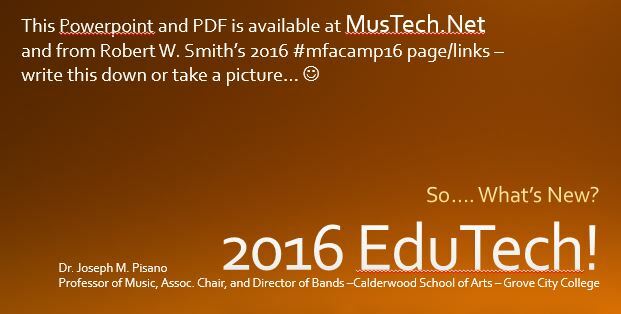 EduTech Clinic —> What’s new, new to you, and cool in 2016? 2. 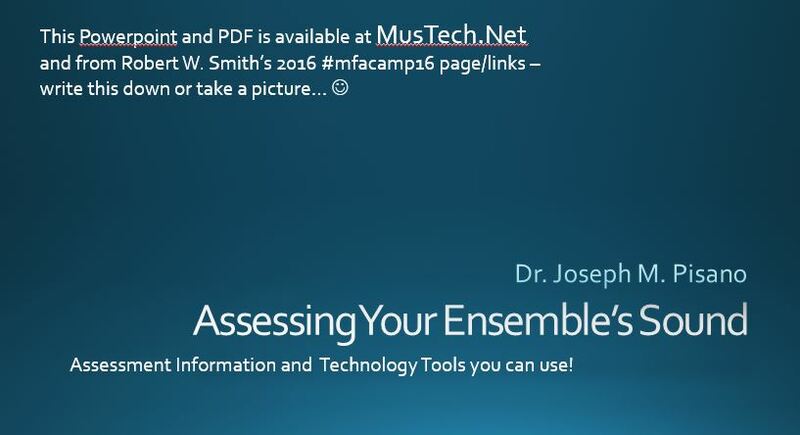 Assessing Your Ensemble’s Sound –> Ed Lisk’s “Big Three”, McBeth’s Sound Pyramids, Google Forms, and more!